Everyone believed the Browns would lose this game, we’re all just shocked they hung in and almost won it…but they’re ‘the Browns’ so they found a way not to win. Cleveland is a very sad football team, and lost its best player for the season – OL Joe Thomas…so, things only get worse from here. How they can get worse, I don’t know, but they will. If they get humiliated in London, with the BYE week after, I suspect Hue Jackson will be relieved of his duties. But, this is ‘the Browns’, so he’ll probably get a contract extension on the flight home after a 50-point loss. Tennessee looks terrible. I’ve predicted a lot of things correctly going into the season – but the Titans as a division winner and #2 seed is not one of them. I should’ve known. Eventually, bad coaches ‘rise’ to the surface. Mike Mularkey should not be an NFL head coach…and now we’re re-reminded as to why. The offense is sputtering -- another old-school, run-first flameout offense with a young, good quarterback not improving because he has no coaching that can help him. Mariota is a great new-era QB working with literal dinosaurs on the coaching staff. Assuming the Titans miss the playoffs this season. I wonder if Tennessee would hire Chip Kelly? An ex-Patriots guy is running the Titans and been doing a solid job. He needs to change coaches. Chip Kelly is kinda buddy-buddy with Bill Belichick, I think. Imagine if Chip Kelly is announced as the head coach – think of what that will do for Marcus Mariota’s fantasy value…just ‘on paper’! The Computer is projecting a likely 8-8 finish for Tennessee, but 9-7 is not out of the question. 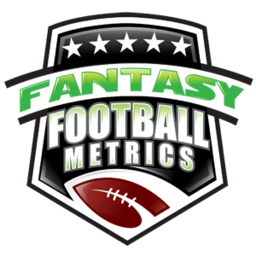 There is one upside hope – the current two weeks off gets Mariota to 100%, as well as Demarco Murray. Changes are made to the suddenly floundering O-Line…and the offense finally gets in gear post-BYE. It’s not out of the question that getting Mariota-Murray to 100% is a big chunk of fixing some issues. We’ll see soon enough…three of their next 4 games are against teams with .500 or losing records. -- I’ve made the same comment over and over on DeMarco Murray (18-39-0, 3-17-0/4) this season – he doesn’t look right. I think there’s an issue with him, but also with the O-Line. Murray can heal but the O-Line issues may be systemic. I can see you trading Murray and moving on, or keeping him hoping for a post-BYE pop. Arguments go either way. I lean that there’s an unfixable problem but not a strong lean. One thing I know – Derrick Henry (13-13-0, 2-11-0/3) is really overrated. I’ve never watched him in the NFL and was ever impressed. He’s a ‘B-C’ RB talent with an ‘A+’ image because ‘Alabama’. -- Keep or dump Marcus Mariota (21-34 for 203 yards, 0 TD/0 INT)? When he was healthy, for 3.5 games, he was a QB1. In 4pts per pass TD leagues, his first four games of FF scoring (4th game cut short by a half due to injury, but still fantasy good) 20.6-12.6-19.7-15.7. his worst game came against Jacksonville…and that’s not a crime. He rushed for 3 TDs in 3.5 games played. He was working. Then, the hamstring and then two recent duds against teams he should have clobbered IND-CLE. The hamstring has him hamstrung. He’s not running anymore. What if he gets to 100% with two weeks off and is back running? He’s a QB1 threat for sure. If you can keep him as a QB2, in Weeks 12-15 you get him vs. IND-HOU-ARI-SF…or #31-10-24-25 against the pass defenses. His schedule turns nice just when you need a boost. Week 9 will tell us everything. If he’s back running and has a good game – full steam ahead. If he has mediocre numbers with little/no rushing – time to bail most likely. Or, “OK to bail’ if you want. He’s too good to be this bad…it has to be the hamstring. I see him purposefully falling down so as not to run or scramble. What if he gets healthy post-BYE this week? If he does, Rishard Matthews goes back to solid WR2-2.5 activity. 11.6 FF PPG (17.0 PPR) on 20.6 rush yards, 0.40 rush TD, 5.4 rec., 59.0 rec. yards, 0.20 rec. TDs per game. That’s not just RB1 numbers…that’s top 8 among RBs type of activity. Only the big name guys and Chris Thompson ahead of him. As long as Kizer is there, this should keep up for Duke Johnson. I worry Kizer can’t stay in much longer. A crushing game versus MIN this week and Hue could be gone and Kizer to the bench potentially. -- How bad is Kizer (12-20 for 114 yards, 0 TD/2 INTs)? 3 TDs/11 INTs in his six starts. 52.0% Comp. Pct., 160.8 yards per game, QB rating 47.8. This is a guy some experts had as the top QB in the draft class most of the draft process. A guy who football analysts crowed ‘Cleveland has found their franchise QB’ after he had a lucky pair of TD passes in a preseason debut. -- Myles Garrett (3 tackles, 1 sack) has missed a few games so he can kinda go under the radar, but he has 4.0 sacks in his first three games…a pace for 21 sacks in a season. He didn’t make the trip to London for Week 8 with a concussion…which means the Browns will be destroyed by more than they would have.